Mekong Delta, or the Southwest of Vietnam, is a fertile land with tropical climate and interlacing winding canal systems. This land is especially famous for variety and genuinely fresh mouthwatering taste of its tropical fruits. Talking about Mekong Delta, we talk about durian, rambutan, bon bon fruit, orange, mandarin, jackfruit, coconut, grapefruit, pineapple, custard, and the cross-bred kinds of them. What is special is all of these fruits are grown together in hectare-vast orchards along the rivers and canals of Mekong Delta. 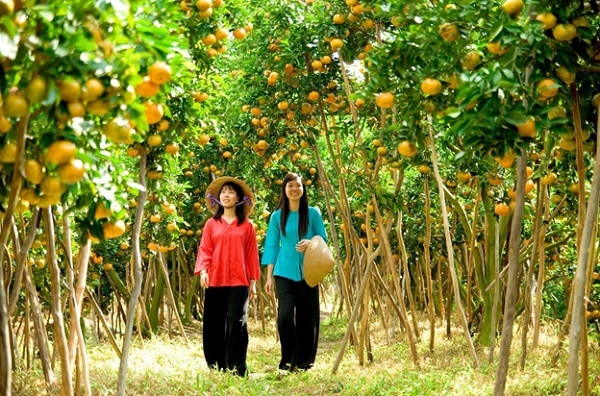 If you visit the Delta in the summer, you will definitely immerse yourselves in the summer fruit festival of Southwest of Vietnam. 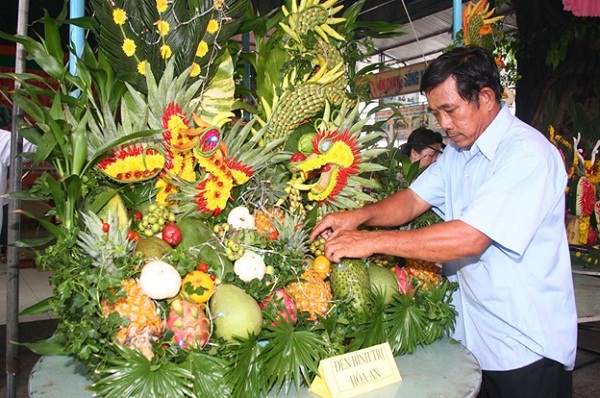 This festival is to honor the contribution of farmers and producers in the region, to show the skills and talent of fruit-shaping artisans, and is a great entertaining event for people. Huge boats loaded with hundred kinds of fruits are very colorful and lively, keep amazing the visitors along the walk-sides. The collections of rare and cross-bred fruit kinds are the clusters of strange fruits all over the country like Buddha’s hand grapefruit, purple longan, purple mango, 10-kilogram coconut or 3-kilogram orange, just to name some. Besides are “fruit masterpieces” formed with many kinds of fruits, are very colorful and mouthwatering. 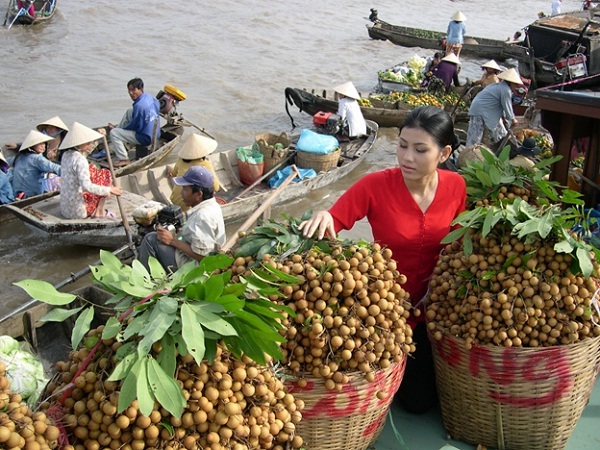 Mekong Delta – land of fruits, land of hospitality, is the proud of Vietnam’s tourism. So if you are eager to explore the region, it is our honor to accompany.